Is there a contract in writing? Yes, we offer a simple contract that assures you that we will show up at your venue on-time. The contract also books our DJ for your venue and assures that your date is not booked by someone else. Just how long are you willing to reserve our date? Your date will be held as long in advance as you need (even 2 years in advance). A deposit is required at the time of reservation. Why should I choose you as my wedding DJ? I’m very personal with you, I get to know the bride and groom, and I do a personal consultation. Are you working solely for this specific company? Is this your full time business? 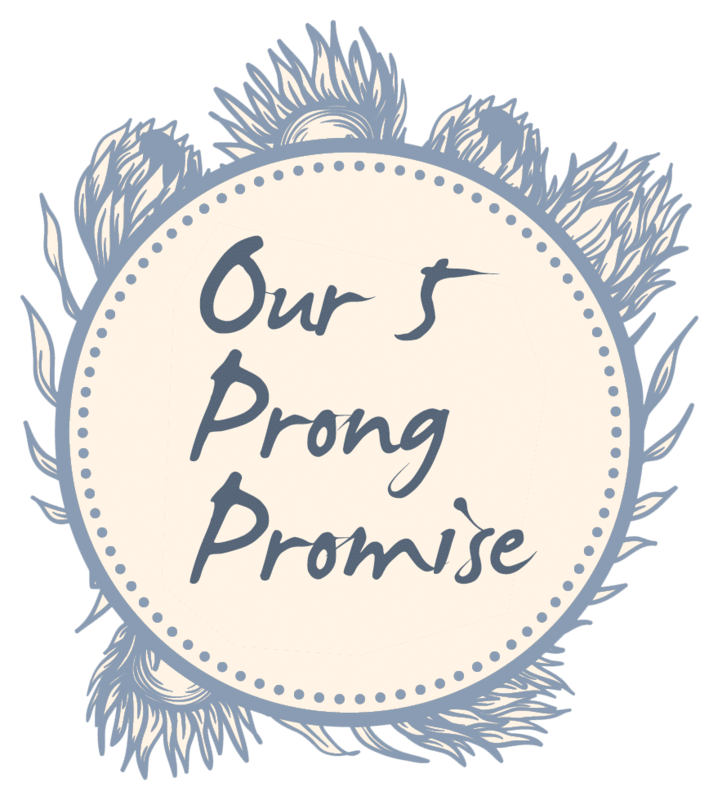 Are weddings your primary focus? 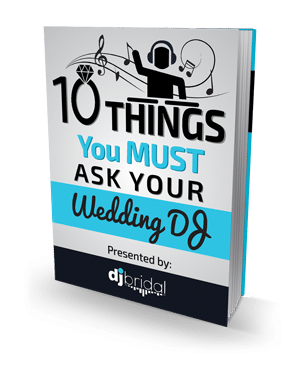 At our wedding, will the DJ be YOU? If I can do your wedding on the date you specify, then yes, I will be the DJ. If I cannot provide the service for you at that time, I will bring a DJ to meet with you a month before your wedding, whom I deem every bit as competent as myself. We will provide a bio of the DJ, their experience, equipment, etc. Do we have our choice of DJs from which to select, or is one assigned to us depending on date availability? One is assigned depending on availability, but all our DJs are very professional, have years of experience, and have been trained the exact same way. Before signing the contract, can we meet in person with you? Yes, of course, I always meet with the bride & groom before the wedding. It’s more personal. I would never sign a contract with anyone, unless I met them first! Can we meet another time, prior to the wedding? I usually meet one time, about 30 – 60 days out. But if you want to meet with me again, I will certainly do that. What are some of the things you will cover with us during the meeting? Do you offer a checklist of all the steps you will take? Yes, it’s good to go through everything, so definitely, there WILL be a checklist. Exactly what is it that differs you from competing DJs? I’m more “personal.” I make sure I meet with the bride and groom, and make sure you’re comfortable with me. I make sure you have an itinerary of what’s going to happen during the wedding. I have a huge, huge library of music! I have the right equipment to download anything you might want, so long as I have a Wi-Fi connection. How many years of experience do you have? And approximately, how many (total) weddings? I began as a DJ in 1988, and progressed into weddings about the year 2000. So I’ve done about 100 – 150 weddings since then. Besides music, do you also MC? Do you offer a free consultations and quote? Every year, what other sorts of events will you service? In a single day, will you perform at multiple events? I do not perform for more than one wedding in a day. If that involves music during the wedding ceremony, then travel to a different location, that’s actually two “events,” and there’s an upcharge to do that. Can we talk with references? Yes, of course. We can give you the phone numbers of 5 – 10 references, starting with the most recent. At what Cincinnati venues have you performed? Have you performed at any noteworthy events in Cincinnati? YES! The wedding of Anna Townsend, who at the time was a news anchor for Channel 12. About every news anchor you can possibly think of was there! Let’s suppose that a situation arises that prevents you from arriving at the wedding? Our company always has an “On Call” DJ in case something happens to the contracted DJ. Will you be the one making all the announcements and acting as the MC? Yes. That’s included in our fee. When making announcements, how do you characterize your “style”? My announcements are very upbeat. I try to be as clear as possible. I do NOT try to “entertain,” tell jokes, etc. Your wedding is about having fun and dancing, and being with your loved ones. It’s not about ME trying to run the wedding! How do you get the crowd “pumped”? By “reading the crowd” and playing the kind of music that gets them on the dance floor. If no one is dancing, how will you entice more guests to take to the dance floor? I bring out a “line dance” song. I know what makes Mom & Dad & Granny get up and dance. If I’m playing something that nobody is feeling, I’ll slow and cut it in about 30 – 40 seconds then play something very upbeat that everybody knows. I know what gets people out there to dance. I generally start with music that appeals to the older generation first, (music or the ‘50s) because they’re the ones who usually go home the earliest. Then I progress through music of the ’60, ‘70s, 80s’ ‘90s etc. the music that appeals more to the younger people, as they usually tend to stay later. About your musical collection: what steps do you take to keep it updated? I go to the Billboard Top 50 every month, and what I don’t have I listen to (to see if it would be a good fit for a wedding), then I download it through Youtube. I keep up with all the updated songs. For the Millennials I play music that’s not so traditional. I cater to every bride and groom’s needs. Whatever you want to do, I’ll work with you to get it done. What music Genres will you do? How do you customize the music experience for each couple? Can you help with song lists and provide suggestions? I ask you what YOU want. I will suggest songs for cutting of the cake, Father/Daughter dance songs, and so on. To what extent may we be involved in the selection of the music? If you want specific songs, just let me know. I’ll download them and make sure they get played throughout the night. May we present a “no-play” list? Yes, of course. In fact I would prefer that you do. I don’t want to play songs that you don’t like. How do you handle song requests? Song requests are handled by YOU, the bride and groom ONLY. I will not do a song request unless the guest can provide a password given them by the bride and groom. May we observe you while performing? No! It would be rude of me to invite someone to the wedding to watch me perform. The bride and groom do not appreciate people showing up whom they don’t know. People get really offended at this. Exactly when do you need to have our event details and music requests?? Within 2 weeks of our first meeting. How early will you arrive for set up? At least an hour early, to make sure everything is set up and a sound check is done. How will you dress for our wedding? My basic DJ dress is a button down dress shirt and dress pants. If you require other dress, please let me know in advance, and I’ll accommodate, within reason. Suits and tux are OK.
How will you be dressed when setting up and breaking down? The exact same as what I wear to the wedding. What is your required deposit to secure a wedding date? Depending on the cost of the wedding, typically $200. What do your fees include? DJ services up to 6 hours (which includes setting up and tearing down), music, MC services, and I provide all the equipment. What would be the charge for you to work overtime? Exactly what is needed from us? The initial meeting, the deposit, the signed contract, the itinerary (within two weeks of the initial meeting), the songs you want for the processional/recessional, the events you are doing, the names of each bridesmaid and groomsman, and just how you want the wedding to proceed. What do you require from venues? Will you expect to be fed? Will you be taking breaks? And if so, how many? No… no breaks at all. During the wedding, will you smoke and/or consume alcoholic drink? Absolutely NOT! No smoking or drinking during the wedding! PV speakers (self-powered, amplified speakers), a Dell Laptop with Dre Beats, Virtual DJ software, Numark Mixer, and Shure mikes. When you come to work, will you be bringing additional equipment for backup? I bring a backup laptop with hard drive. I don’t bring backup speakers, but if one speaker goes out, the remaining one is enough to power the wedding. I do have access to other equipment in the event of a total equipment failure. Will you bring a wireless microphone? No, I don’t use them! They result in feedback and “cutting-out.” I do have a 100 foot cable that can get you almost anywhere in the wedding. Will you display any promotional banners? When the bride and groom show up at the reception. Lighting, HD video screen, photo booth… pretty much anything we can do, for an upcharge. Join our mailing list to know what these questions are! There are no words that could express my gratitude to you! Thank you for all your advice to Karen with planning the music for their reception. We had so many comments on how much fun everyone had and how great the music was. Everyone had a wonderful time, especially Karen! Everything ran so smoothly – you were sensational and I will never forget how wonderful my daughter’s wedding day was thanks to you! Dawn and I wanted to thank you so much for the excellent job you did of DJ ‘ing Katie & John’s wedding. Every detail went smoothly as the Wedding Celebration flowed from beginning to end. Katie assured me before the wedding that I would like you and your approach, she was absolutely right! Great Job Pete!!! Thanks Again & May God Bless You! Thanks again for doing such a great job at our wedding. But then again, you always do a great job. DJ Bridal is a Cincinnati based Wedding DJ service. We DJ weddings exclusively! Our primary DJ began as a DJ in 1988, and progressed into weddings about the year 2000.